Your kid takes a tumble and breaks an arm at a sleep-over. Your spouse, on a business trip, suffers sudden chest pain and shortness of breath. You’re in beach slippers and step by accident on a shard of glass stuck in the sand. Now, you’ve got oodles of time to check your insurance policy to find the nearest emergency room that’s covered by your insurer, right? And you’ll be asking every physician who treats you if they’re part of your network, right? Well, no, nobody does that. 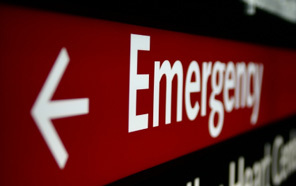 So brace yourself: a new study says that 1 in 5 Americans gets whacked after their ER visit with added charges not covered by insurers for out-of-network care. The surprise medical bills averaged $900 but ran as much as $19,000. “To put it in very, very blunt terms: This is the health equivalent of a carjacking,” Zack Cooper, an assistant professor of health policy and economics at Yale University, commented to the New York Times. He is a co-author of the paper on surprise medical bills, published in the peer-reviewed New England Journal of Medicine. Cooper and other critics condemn insurers for unfairly failing to cover patients throughout bona fide medical emergencies. They point out that insurers already demand that customers research extensively to ensure they get treated only in insurer networks. Insurers insist on this practice because they can better control costs, negotiating in advance with specified caregivers in their networks over prices and services, they say. But, in emergencies, it’s unreasonable to expect similar patient diligence, critics say. ER doctors have criticized this and other studies, arguing that, after the typical back-and-forth among providers and insurers, patients don’t get stuck with much of a tab for out-of-network care. ER docs and insurers argue a lot, with the insurers criticizing the physicians for declining to be in many networks, while the MDs say many don’t pay them enough to join. Cooper, for one, says that Congress could and should take a clue from the states and enact national legislation to halt ER surprise bills. I agree.